There are some authentic Hindu scriptures, which say that the portion of the human body from the top of the Head to the Heart are ruled by Vishnu Bhagwan and the functioning of the body parts, which fall within this region are influenced by him. The Tantra also mentions about a Vishnu Gayatri Mantra healing experiment, which can heal any malfunctioning body organ, which falls in this region of the human body, this Mantra experiment is explained in this post. Nazar Dosh or Buri Nazar affecting food is believed to a common occurrence, which affects most people. This is usually said to happen when delicious food items are being cooked in the home or a hall for a party or a function and the aroma reaches the nostrils of a hungry and deprived person who lusts for the food, which is being cooked and imagines that he is consuming those delicacies. If the lust is strong and powerful, it is said to either spoil the taste of the food items or make the people consuming the food sick. In this post, I have given a specific set of information about the recommended directions for a home and all the rooms, structures, and components contained within the home. This information is of course meant for the believers of the traditional Indian Science of Vastu Shastra. 1] The plot should preferably have a square shape or the nearest to a square shape. This is a Vashikaran Mantra to get a desired thing, by desired thing; I mean a material object, even cash and not a living being like a desired man, woman or animal. Hence, this is a different kind of Vashikaran Prayog and there are certain rules prescribed in the Tantra to Master and practice this Vashikaran Spell, which are described below in this post. In Hinduism, there is no such thing as absolute good or absolute evil; everything is relative or comparative in nature. Hinduism preaches that the only one with the quality of absoluteness is the Supreme Being or God. Hinduism preaches that all and everything in the Universe is subject to the Three Gunas- Satva Guna, Rajas Guna and Tamas Guna or the Creative Quality, the Protective Quality and the Destructive Quality. The Hindu deities, which broadly correspond to these three Qualities, are the Trimurti of Hinduism- Brahma, Vishnu and Shiva. In this post, I have written about a simple form of Lord Shiva Puja and an easy to chant Shiva Mantra for increasing the chances of marriage of an unmarried girl. The Shiva Mantra is also potent in eradicating any other hindrances, which come in the path of a smooth marriage and create problems in the girl’s marriage. The most number of requests, which I get, are from Indian Patnis wanting to be able to somehow control, manage, physically and mentally attract and enchant their Patis or lovers. I have over the past many years published the most diverse collection of Pati Vashikaran, Akarshan and Sammohan Mantras, in this post is published another husband enchantment spell. Worshiping the Peepal Tree is a most powerful kind of worship of Laxmi-Vishnu as already explained before in some earlier articles published on this site. Vishnu is the husband or Pati of Laxmi and the worship of Vishnu is also considered to be one of the best ways to please and seek the blessings of Laxmi. The Mantra Sadhana given in this post is a simple worship involving the Peepal tree [Sacred Fig tree] and a Vishnu Mantra, which can also be dedicated to Shri Krishna, who wife Rukmini is also said to be an Avatar of the Wealth Goddess Laxmi Mata. It has been more than four years after I first wrote about the failure of the “White and Saffron Caps” and how they will disappoint the Indian people by making compromises after coming to power. The White Cap was then automatically taken to be the “Gandhi Topi” of the dominant Indian political party of that time, the Indian National Congress. 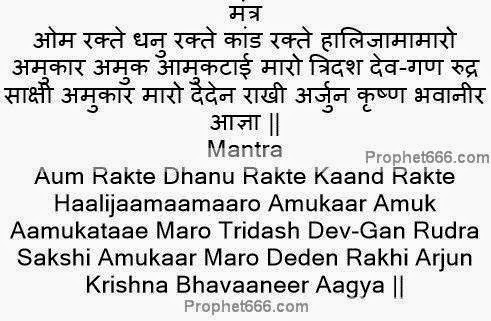 The Solah Akshari or if one counts all the letters separately the Bathees Akshari Maha Mantra “Hare Ram Hare Ram Ram Ram Hare Hare, Hare Krishna Hare Krishna Krishna Krishna Hare Hare” –“हरे राम हरे राम राम राम हरे हरे, हरे कृष्ण हरे कृष्ण कृष्ण कृष्ण हरे हरे” is easily one of the most often chanted and popular of the Hindu Mantras. 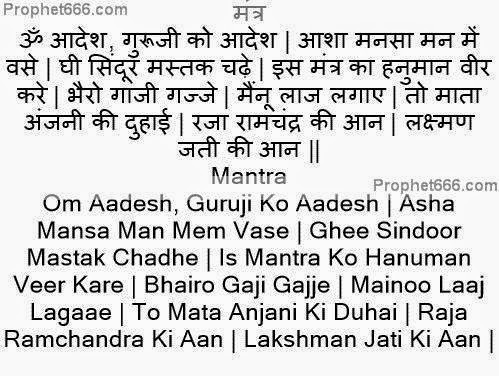 It is also one of the most popular of the Vishnu Mantras, addressing Shri Ram and Shri Krishna, his seventh and eighth Avatars. A few years back I had written about a Hindu Shabar Mantra to revert a shifted fetus back to it normal position. As a follow up on that article, I have included in this post a Tantra, which does not use any kind of Mantra or Yantra Sadhana to revert a shifted fetus back to its natural position in the womb of a pregnant woman. That Mantra can be seen - Here. 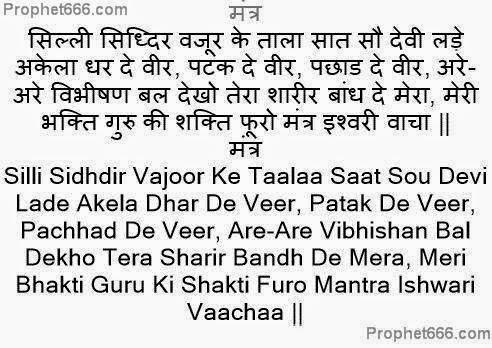 This is a Mantra for mass Vashikaran of the people living in a specified locality, like a village. This mass hypnotism mantra, is from that class of Mohini Mantras, known as the Gram Mohini Mantras, quite a few have already been published on this site in the years gone –by. This Mohini Mantra invokes the Goddess Kamakhya, to put the mass hypnotism and attraction spell on the people living in the specified village.